In the 1960s and the 1970s, American muscle cars took the country by storm. These bold and powerful cars were loved by many. Used for street racing or simply cruising the drive in, the muscle car was every car enthusiast’s dream. 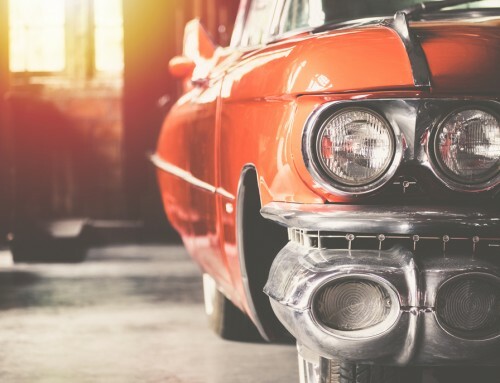 And the love for muscle cars has not faded in all of these years; the only thing that has changed over time about these iconic cars is their price. While most vehicles depreciate in value as they age, a handful of these classic cars are valued quite highly and can sell for a princely sum at auction. The “10 Most Expensive Muscle Cars” is a pretty exclusive club, as entry starts at well above $1 million. Let’s see just how high the price tags go on these rare classics. Keep reading to see the full list – or click play to relax and watch! This car was originally built in the UK, but in September of 1961, Ford Motor Company’s Carroll Shelby asked if AC Motors could build a frame to accept a V8 engine, as Ford wanted a car that could compete with the Corvette. Blueprinted at the Windsor engine plant, the 3.6L lightweight, thin-wall cast small block engine went through tons of modifications before it was ready – from front-end bodywork with the steering box to stronger rear outboard brakes to reduce cost and withstand the power. In 1962, the small block engine was increased to a 4.3L and then began road testing. This Roadster sold for $1.595 million at Barrett Jackson’s Scottsdale auction in 2015. This car was one of just 11 produced in that model year, and sold for $2.2 million in 2007 at a Barrett-Jackson auto auction. 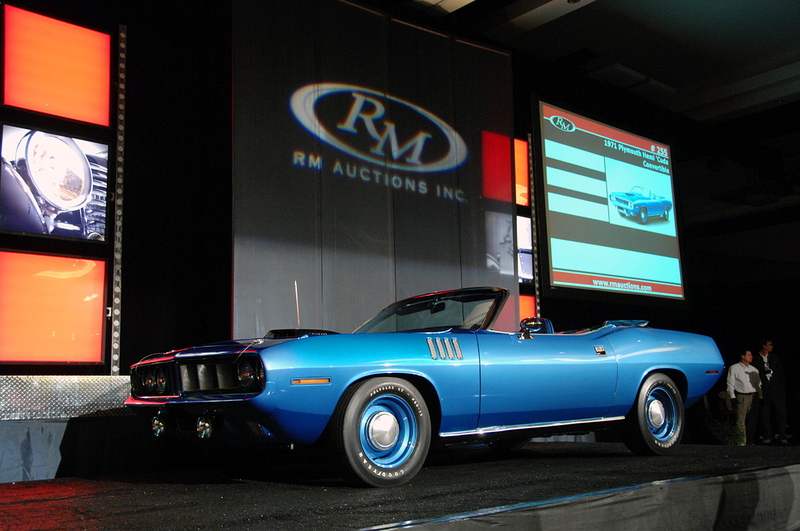 While that may sound like a high price, it was actually a million or two less than what would ordinarily be expected for a well-preserved 1971 Hemi ‘Cuda convertible. 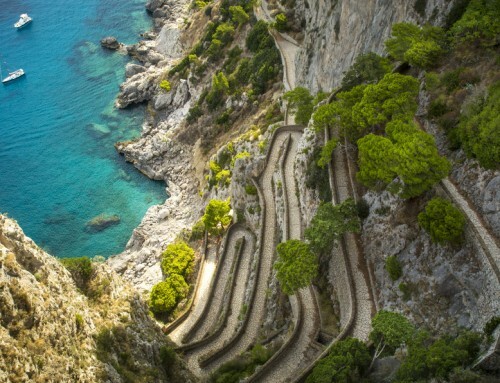 While “perfect” in nearly every way, this car suffered one major flaw: it had an engine that was not the original one that had been installed on the assembly line. It did, however, have the correct 1971 version of the Chrysler 426 Hemi installed, making this sale the highest price paid for a non-matching numbers muscle car. Convertibles weren’t as popular in the late 60s and early 70s, making the 1970 and 1971 ‘Cuda convertibles some truly rare beasts. This particular beast was one of just 14 produced for the 1970 model year, and one of nine to be fitted with the specific Hemi A727 Torqueflite three-speed automatic transmission and a dual-quad 426-HP Hemi V8 engine. Fun fact — this car was the personal company lease of John Herlitz, who is one of the main men responsible for this very car’s styling at just 27 years of age. The one-of-a-kind muscle car went through multiple owners from Brett Torino, to Darrell Davis (the Chairman of Chrysler Finance). The fantastic piece of Mopar history was restored to its natural beauty in 2002 by Cumins Restorations and then sold in 2015 at Mecum Monterey for an impressive $2.25 million. In the early 1950s, GM desperately wanted to paint its Pontiac brand as sporty and exciting to attract a younger demographic to showrooms. Supposedly inspired by the cars he saw vying for speed records on Utah’s Bonneville Salt Flats, Harley Earl tasked designers Homer LaGasse and Paul Gilland with building a car worthy of the Bonneville name, one that would give the rival Chevrolet Corvette a run for its money. 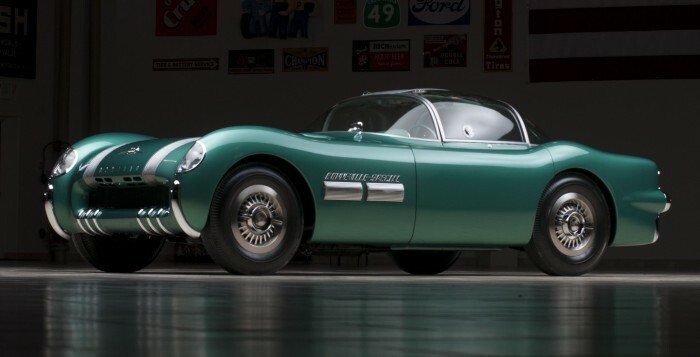 The result was the Pontiac Bonneville Special concept, of which only two were ever built. Much like the production Chevrolet Corvette on which it was based, the Pontiac Bonneville Special concept was a low-slung sports car with a fiberglass body. But unlike the original Corvette, the Pontiac concept boasted an enclosed bubble cockpit with flip-up side windows, along with a V8 beneath its long hood. The 230-HP, 268-cubic inch 8-cylinder never made its way onto the market, even though the four-speed Hydramatic automatic was Pontiac’s most powerful engine to date. It was sold for $3.08 million at Barrett-Jackson’s 35th-anniversary auction in Scottsdale in 2006. The Chevy Corvette is one of the most recognizable American muscle cars and a favorite of many motorheads. 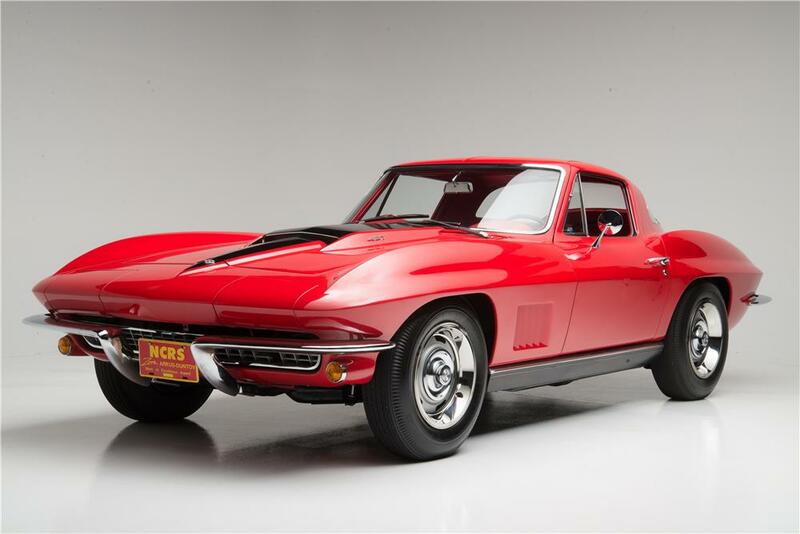 The car’s iconic Stingray design and powerful performance have helped it hold its value quite well over the years, but few Corvettes have ever matched the price of this 1967 L88. This L88 was one of 20 made that year. The L88 trim level was a secret model for Chevrolet — it didn’t advertise the option to the public or to its dealers. Most of those models were sold discretely to race teams, and with its 430-HP rated engine, you can see why. This particular convertible was modified and used as a drag racer until 1970 (it has the race slips to prove it) and has since returned to the stock L88 specifications, but it still retains all of its iconic features. Its black-on-red paint exterior has been meticulously restored, the warning sticker for the fuel is still attached to the center console, and it’s equipped with the mighty “Rock Crusher” four-speed manual transmission. Strikingly similar in appearance to the ‘71 ‘Cuda Convertible that sold for $2.2 million, this 1971 convertible is particularly desirable because it is the only surviving convertible that retains its original matching-number parts. 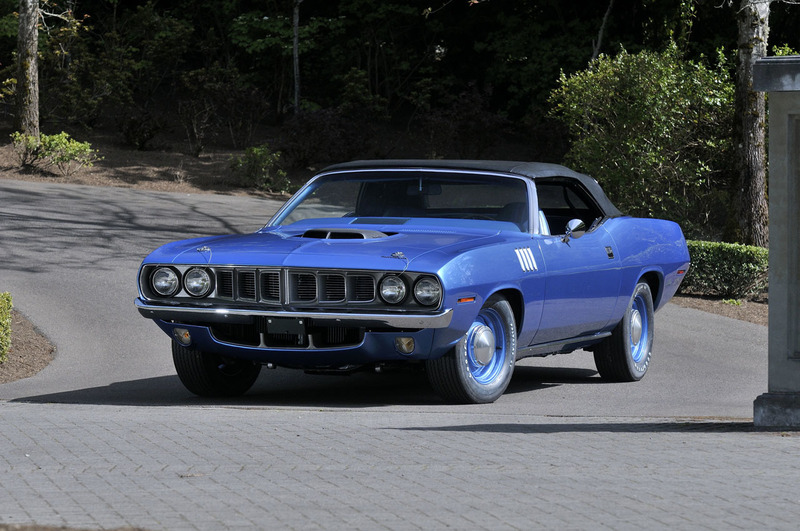 It still has its original Hemi-426 V8 engine, and it’s the only Hemi ‘Cuda in existence with the 4-speed manual transmission with the original Hurst shifter. 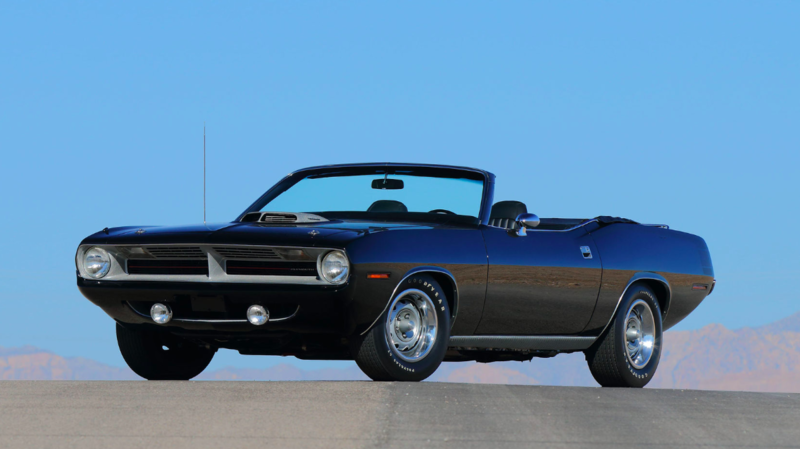 Only 11 have been produced in the world, and 1971 was also the year with the fewest Hemi convertibles ever produced. Nicknamed the “Holy Grail of Muscle Cars,” this ‘Cuda has a 440ci Hemi and a six-barrel carburetor with an upgraded suspension and reinforcements. Its first known owner was Russ Meyer, a famous cartoonist from the Southwest. Meyer sold it to a man in Oregon for $250,000, but it was later seized in connection to a drug raid and was sold at an auction for $405,000. The car was subsequently restored its former glory by Julius Steuer, its original B5 Bright Blue color scheme with blue paint, black top, matching blue seats and all. It sold in 2014 at the Seattle Mecum auto auction for a whopping $3.5 million, making it the highest priced Chrysler to ever have been sold. Though this L88 doesn’t have the documented race time that its convertible cousin did, it remains one of the most desired Corvettes ever built. 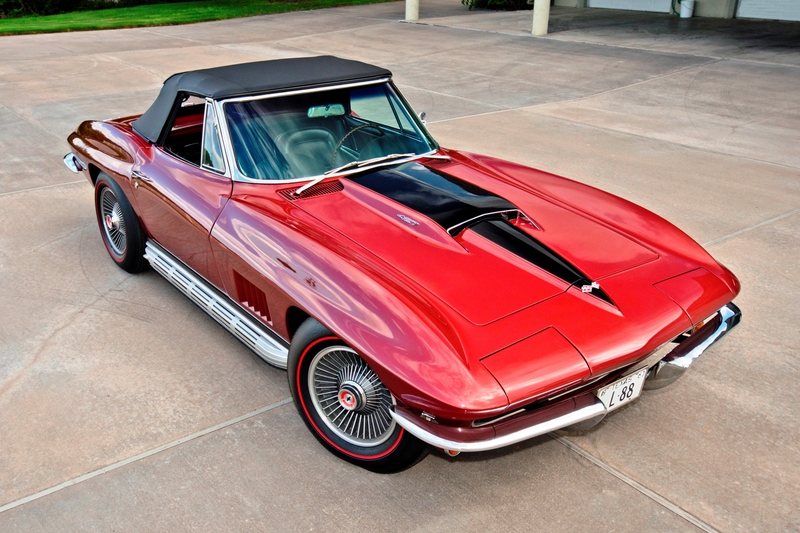 Of the 20 L88 Corvettes made in the 1967 model year, this was the only car with a matching red-on-red color scheme. 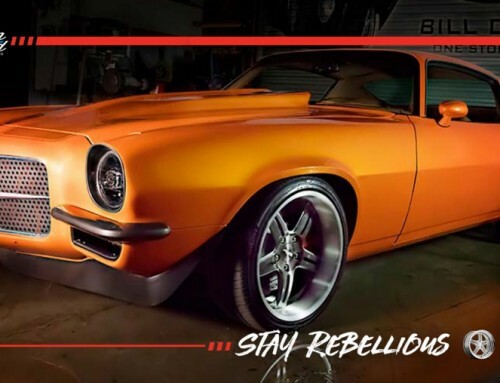 With a heavy-duty suspension, a 430-HP engine, and a transmission tuned for optimum performance on the quarter mile, this vehicle was armed for high-performance drag racing. But despite the astronomical price tag, this car offered little in terms of creature comforts— it had no radio, no heater, and no air conditioning. Its engine is deliberately underrated, as well, as it delivers more than 560-HP in independent tests. With the weight of its NCRS (National Corvette Restorers Society), the car was able to eclipse the sales mark set by its convertible cousin. Though both cars earned a regional NCRS Top Flight award, this vehicle surpassed the convertible by winning a national Top Flight Award as well as the Duntov Mark of Excellence Award and was sold to a very wealthy buyer at the Barrett-Jackson Scottsdale auction in 2014 for a hefty $3.85 million. This CSX 3015 is literally the rarest Cobra that exists, as it is one of only two Super Snakes ever built and the only one left surviving. It has nearly 1,000-HP from its twin supercharged 427 V8. Carroll Shelby built this monster for himself because he wanted to find out how fast it could actually go. This vehicle has gone through meticulous inspections, which included comparing it to other competition Cobras, where it was determined to be a full Competition Roadster, still retaining its original body with its aluminum “Super Snake” hood. Steve Davis scraped through two layers of paint to find its original brilliant Guardsman Blue. It has its original date coded 1965 Competition Girling CR and BR calipers. The car still has its 427 Competition 377 rear end, its original rear end oil cooler and pumps, and astonishingly enough still has its original 1965 date-coded engine block, 5M17, December 17, 1965. It even has its original headers with its original chrome side pipes. This CSX 3015 is actually considered to be so “period original” that it was opted to renew instead of restore. It’s no wonder this baby sold for $5.115 million at the Barrett-Jackson auction in Scottsdale, Arizona. This GT40 was Henry Ford’s debut entry in Le Mans and has been driven by the likes of Bruce McLaren, Bob Bondurant, Phil Hill and Chris Amon and has been raced in-period at locations like Le Mans, Sebring, Daytona, Nassau, and Monza. It’s even said to be the very first GT40 delivered to Shelby American for development. The basic design consists of a lightweight steel monocoque chassis with a double A-arm suspension. Its all-aluminum 4.2L engine is complete with a Colotti gearbox to handle the 350-HP. 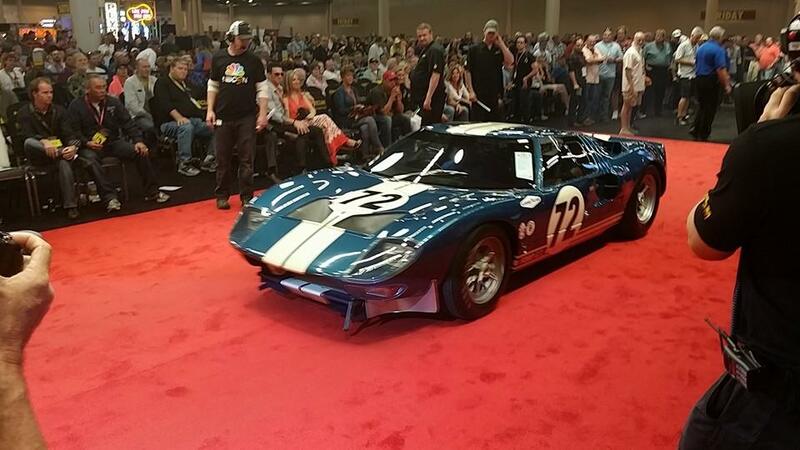 Ford displayed this rare gem at the Detroit Auto Show for a number of years until its last restoration in 2010 by Paul Lanzante and was sold at the Houston Mecum auction in 2014 for $7 million. The Shelby Cobra has a long and illustrious reputation in the archives of American muscle car history. 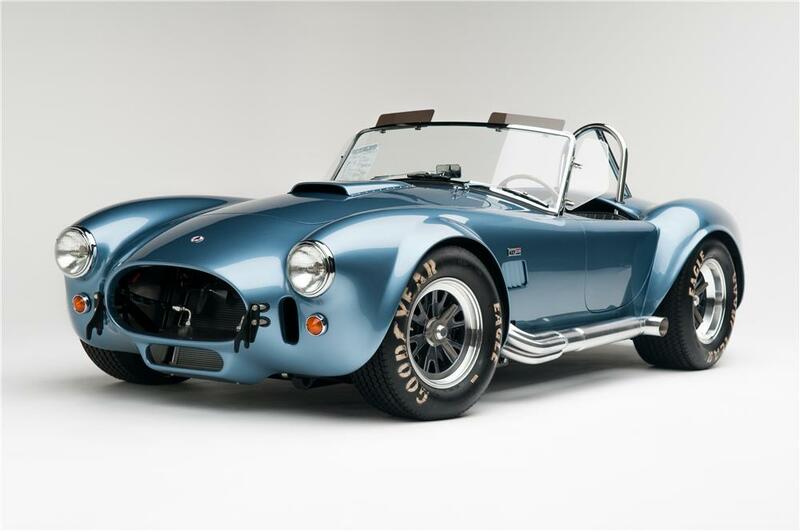 With its bold design and high-powered performance, owning a vintage Shelby Cobra is a dream for many muscle car fanatics. 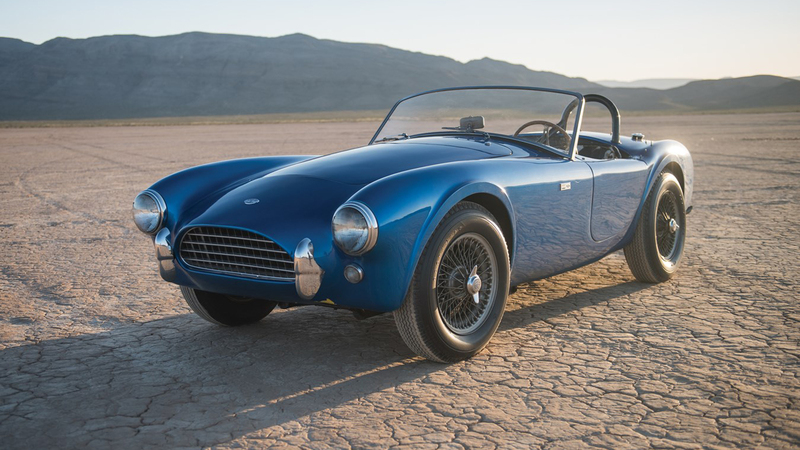 Any original is going to be worth a heck of a lot of money, but the very first Cobra is priced way beyond any other. Chassis number CSX2000 sold for a monumental $13.75 million (a final bid of $12.5 million plus auction fees) at a Monterrey, California auction. 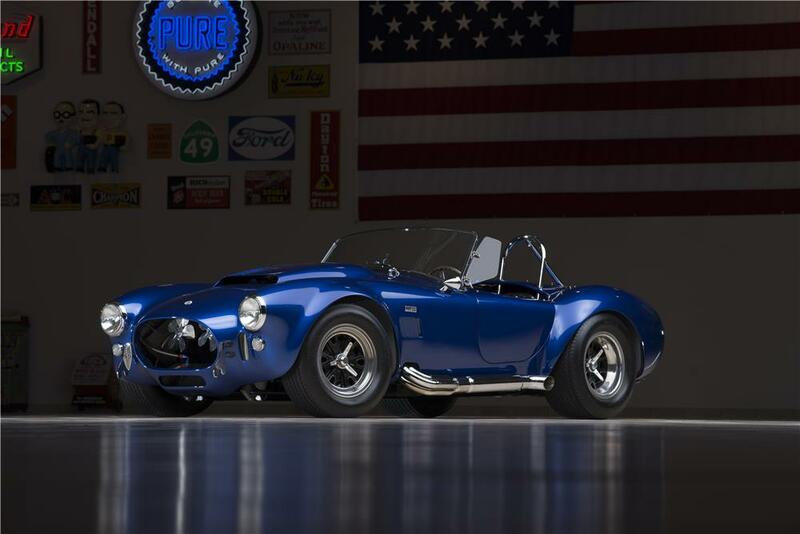 This particular Cobra is extraordinary for more than just being the first-assembled by Carroll Shelby and his crew. It was painted several different colors within its first year of existence as it was shipped from event to event in order to make it seem as if production had officially kicked off. It, in fact, hadn’t, but the trick worked. It finally ended up the brilliant shade of blue you see today, and it’s impressively never been restored (which is very observable with dents and dings throughout the body and mismatched paint colors hiding in layers all over the chassis). 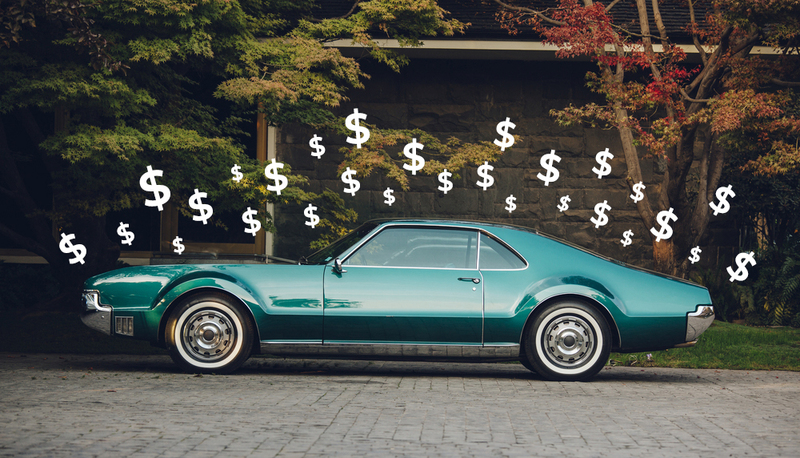 Despite these flaws, however, it ended up being the most expensive American car ever sold.